Noemi Everett stands with her granddaughter Anaya near a flood-retention wall along Walnut Creek. 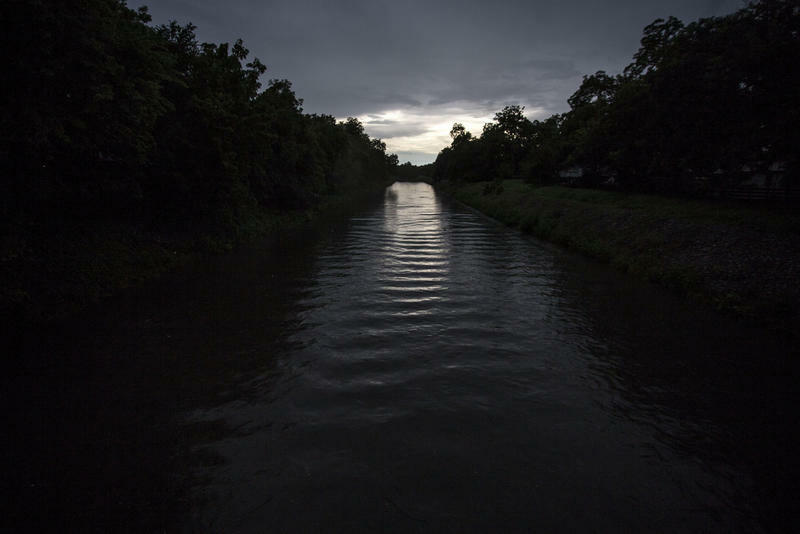 The wall was built to protect the Las Cimas neighborhood from flooding, but a new floodplains map shows it might not be enough. A massive update to Austin’s floodplain map shows about 3,000 properties are at higher risk of flooding than previously thought. But a review of the map shows the new threat is most concentrated in some neighborhoods where the city has already spent millions to mitigate flood risk. 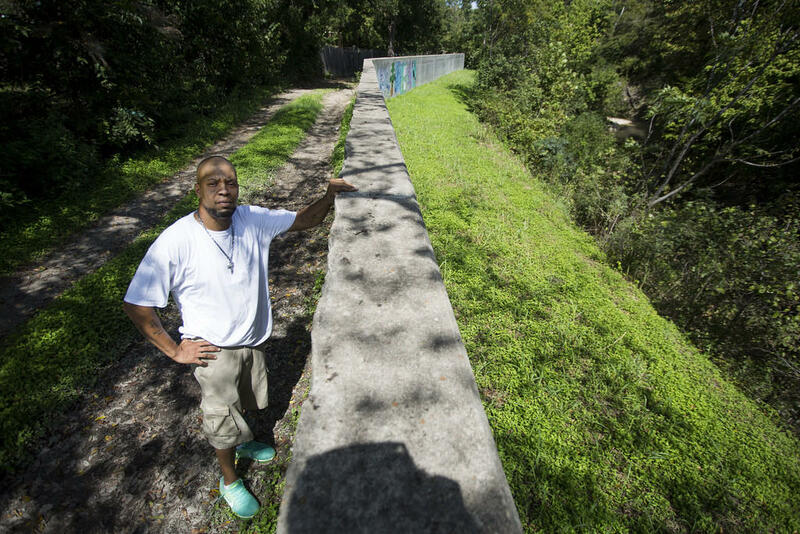 Before the Crystalbrook wall was built, Franklin Jackson says, no one could get in or out of the neighborhood during heavy rains because of flooding. “Me and my kids used to push people out of the water,” she says. According to city documents, the project allowed 175 houses to be removed from the 100-year floodplain, a high-flood-risk area where there are extra permitting and building requirements. 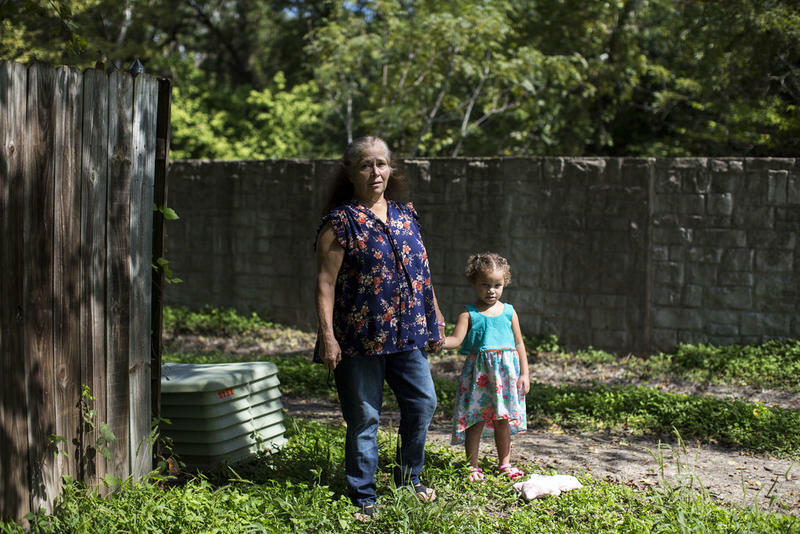 But now, Austin officials say she should consider getting insured again: 14 years after the wall was built, the properties in Las Cimas are going back in the floodplain. “It all ties back to the new rainfall data,” says Pam Kearfott, the engineer in charge of creek flooding for Austin’s Watershed Protection Department. The impacts of Atlas 14 go well beyond Las Cimas. In the Southeast neighborhood of Dove Springs, hundreds of homes near the $8 million Creek Bend flood wall are also back in the floodplain. And other parts of town that are not near flood walls or creeks are also impacted. A city website shows residents what their new risk is. Kearfott says the map will be revised in two years – but folks shouldn't assume that update will bring any good news. Everett says she probably won’t get insurance again. After all, the flood wall’s been working since the city put it up 14 years ago. “If I was concerned about flooding here, I’d definitely have it," she says, "but I’m not concerned at all about it." Sonora is a place most people only encounter on their way to someplace else. It’s located along Interstate 10, 170 miles west of San Antonio and nearly 400 miles east of El Paso. The town of about 3,000 people is the kind of place that’s rarely in the news. But like a lot of other things in Sonora, that changed on Friday, with an unexpected and catastrophic flood. Texas leads the nation in flash-flood deaths, with more than 75 percent of those deaths occurring at low-water crossings. Now, a part of the state known as “flash flood alley” is turning to technology to help. 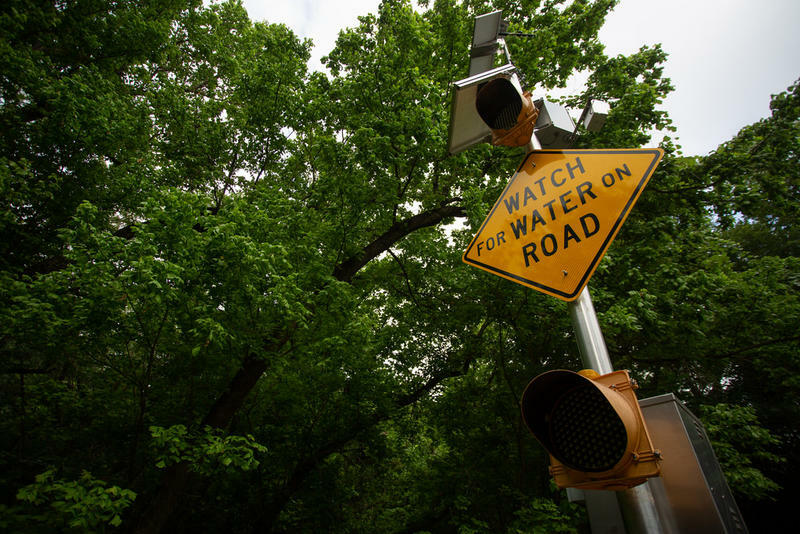 City workers in Austin are visiting creeks at low-water crossings to install cameras that will make images of flooding available to the public in real-time.